As my husband and I have been brainstorming gift ideas for our children this holiday season, we have been focusing on finding them things that will really highlight their personality and identities. The one thing that I am most pleased with my son about is his ability to improvise and use his imagination. My daughter is very creative and loves anything crafty, so we look to find gifts that will promote that. When my son gets a toy, he will always start playing with it in the intended manner. If it requires assembly, he will use the instructions to put it together the right way. But where he really seems to be enjoying himself is when he starts taking it apart and rearranging it to fit with whatever “play world” his imagination is providing for him at the moment. He really seems to come alive with toys that engage that aspect of his personality. So when we were sent the Beados Design Studio, made by Moose Toys, we knew both of our kids were going to be super excited to try it out. 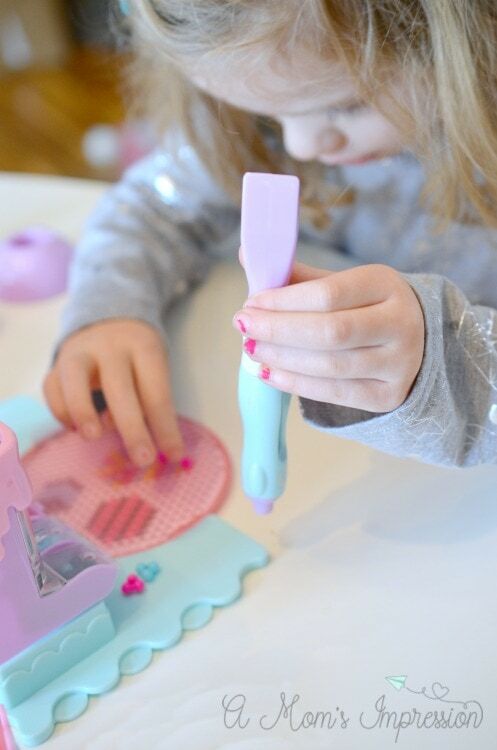 The great thing about Beados is that they are the perfect mix between creativity and play. The way they work is super easy. 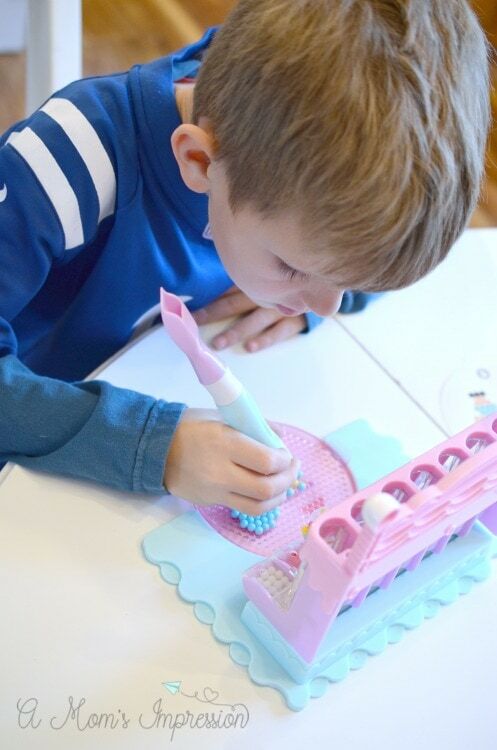 Beados Design Studio playsets consist of tiny beads that bond together with just a spray of water. There is no need for heat or glue or any mess whatsoever! Just use a provided Beados designs template or create your own and place the beads together on the provided tray. Spray with water and just wait for them to dry. 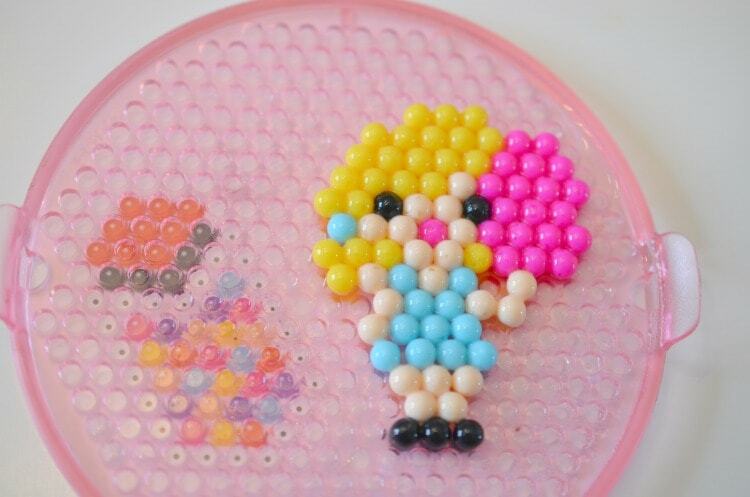 Once they are dry, the beads are fused together and the kids can put them in the display stands or use the connectable play pads to create their own world. Available this holiday season is the Beados Scoop ‘n’ Mix playset. 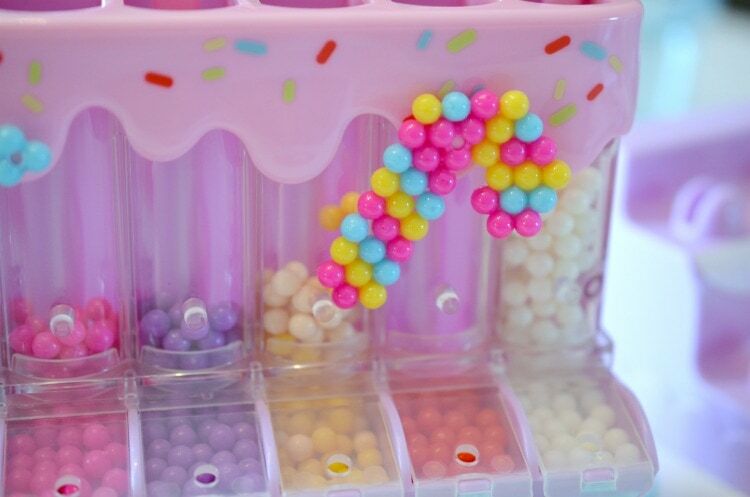 This adorable display set is the perfect thing to keep your beads in. 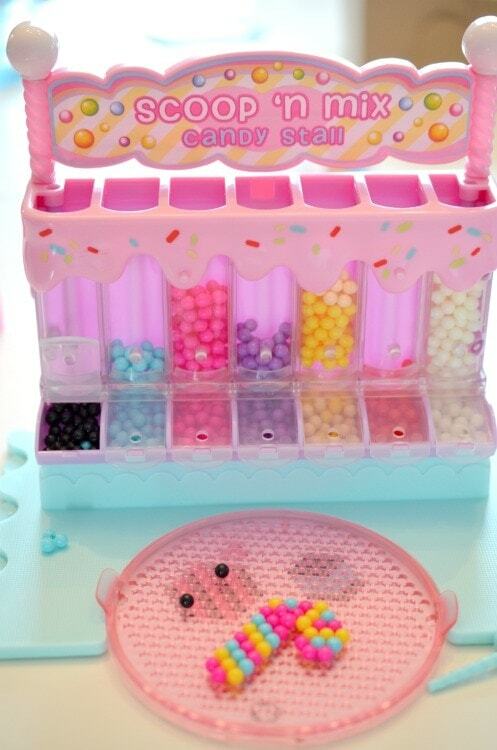 With the included scoop pen, just scoop your beads out of the “candy stall” and put them in their trays. Choose your Beados designs from the selection, and spray with water. Once dry, they can be displayed however your kids would like. We have put them in the many different display options that come with the set, but I can see us getting even more creative and make key chains or other crafts using them. 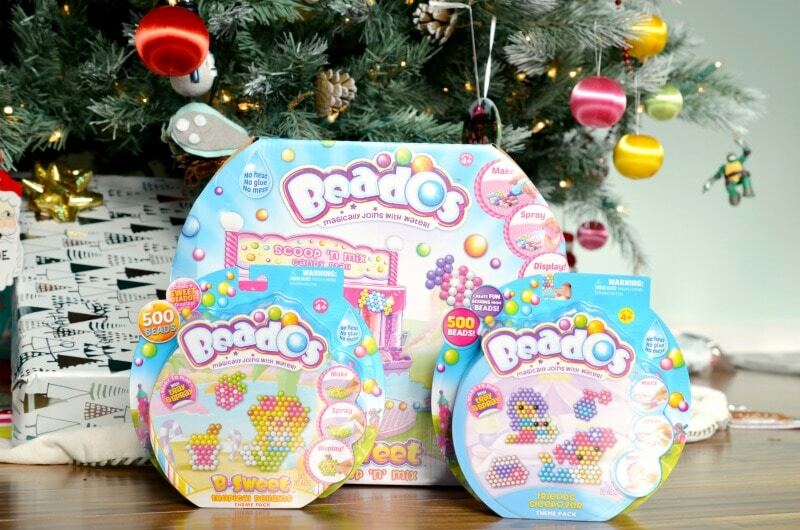 We got the Beados Designs B-Sweet Theme Pack and the Friends Sleepover Pack along with the Scoop ‘n’ Mix playset. Our 4-year-old daughter loves the B-Sweet pack with its pinks and yellows and whites. She loves arts and crafts so she has been playing with this set ever since we opened it. With it’s hours of play and so many variables and possibilities, I am positive this will be a lifesaver during the long cold winter when we are all stuck inside a lot more than we want to be! If you are still looking for some more gifts for the little ones in your life, Moose Toys is bringing the smiles this holiday season with their top toys that inspire imaginations and creative play! To see their many Beados designs playsets that are available this holiday season visit their website. 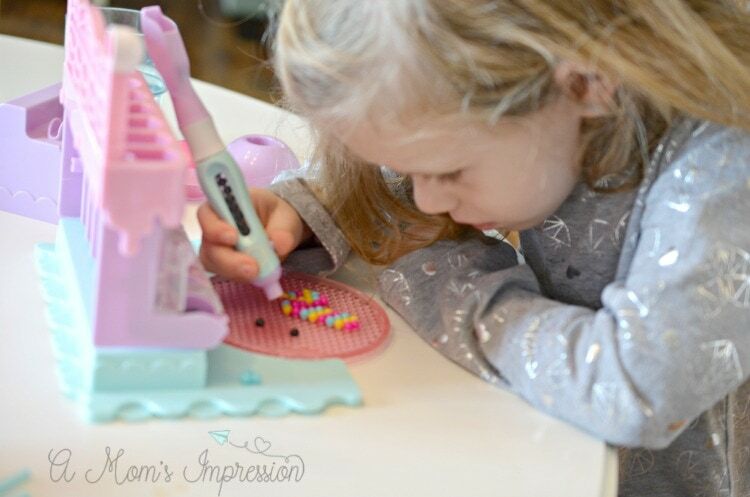 Your kids will love using their imagination to create a fun, candy filled world.